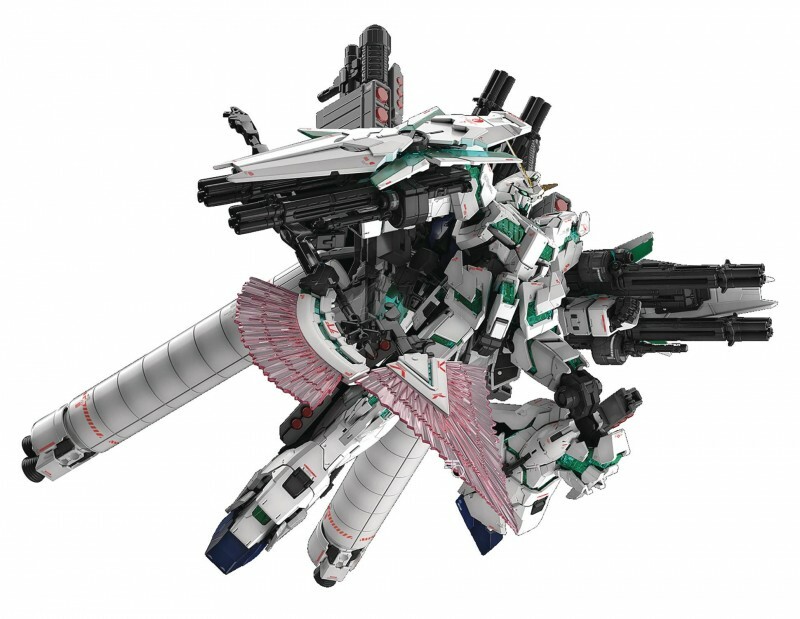 The Unicorn Gundam now comes with its Full Armor armaments! It was been equipped with Beam Gatling Guns, Hard Grenades and other weapons. Even with all of the new armor parts attached the Unicorn can still create dynamic action poses. It also comes with the Hyper Beam Javelin from the TV Opening, it can also fold to be stored away. The giant propellant tanks also come with newly designed parts to recreate and support their massive size. Support stands are also included for stable display. Model includes: Beam Magnum x 1, Hyper Bazooka x 2, Beam Javelin x 1, Hard Grenades x 2, Anti-Ship Missile Launcher x 2. Beam Gatling Guns x 6, Propellant tank w/support stands x 2, Beam Sabers x 2, Shields x 3, Runners x 24, Decal x 1 and Manual x 1.